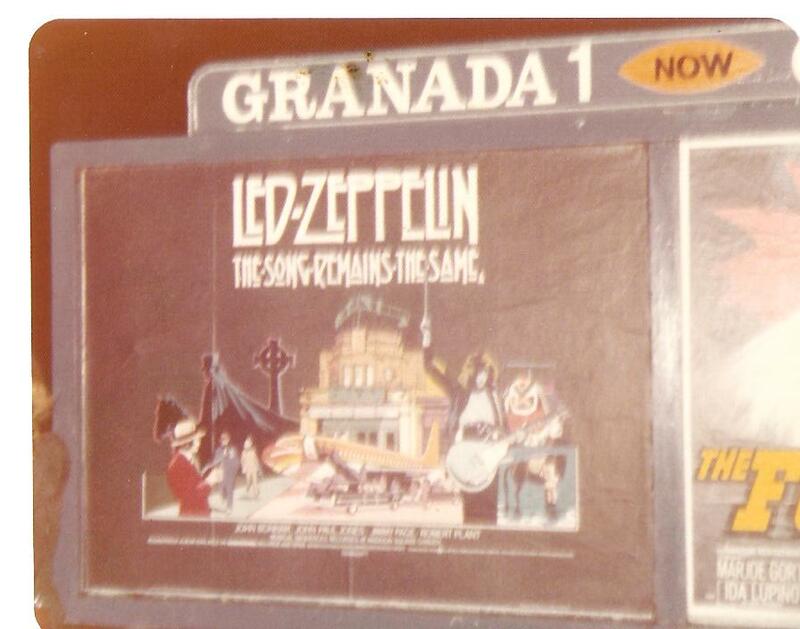 Led Zeppelin (on film) at the Granada Bedford January 1977. No prizes for guessing where this poster was llikely to end up! 33 years ago today I was about to commence a seven night stint in the company of Led Zeppelin….or to be more specific their film The Song Remains The Same. The newly released celluloid masterpiece was on general release and doing the rounds nationally and cue fanfare…had rolled into my home town of Bedford. Yes Led Zeppelin alive on film in the quaint market town of Bedford for seven nights only and I needed to be there every night. Simple as that. Now this event in the life of this then 20 year old Zep fanatic was big news. I’d already seen the film six times before Christmas, the first three nights in London including the premiere plus screenings in Cambridge. Now I had the luxury of walking from my home in Dents Road to Bedford High Street every night for seven days to view it at the local Granada cinema. This long since knocked down theatre was a grand old building that alongside its cinema presentations was a stop off for the many pop group package shows of the 1960s. It played host to The Beatles twice and Jimi Hendrix. In April 1964 the 7 year old DL witnessed his first ever gig there featuring The Dave Clark Five. The whole week was a total blast as various friends and relations joined my then girlfriend and me in seeing just what all this Zeppelin film fuss was about. My good friends (and past Earls Court and future Knebworth companions) Tom Locke and Dec came along on the opening Sunday where we stayed for the 4pm and 7pm shows. Luckily there was no Wallbangers football match that day to get in the way. No Monday morning feeling that week either. Absolutely not. 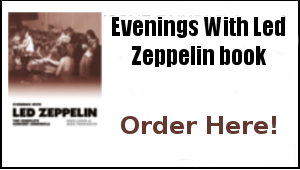 A day in the shop selling the records and tapes of choice to the Bedford public and then the nightly prospect of 137 minutes of Zep up on the big screen. It was pure heaven. Bedford Earls Court/Knebworth crew member Phil Harris was with us on the Tuesday night and another Bedford Zep fan and Wallbanger player Nick Crawley (Nick where are you? E-mail me) came along as well. Dec was back on Wednesday and again on the Friday where we sat through the afternoon and evening screenings. Dec was also with me a year later when we made two bus rides in driving snow to see the film at Western Favell in Northampton. Now that’s what I call comradeship! On the Thursday my late Mum and late sister came along to find out just exactly what it was that so inspired the junior one of the family. A lovely touch. This week of weeks ended on the Saturday and not even a family marriage could get in the way. My cousin was getting married that day but we still managed to sneak out of the reception for two hours to attend the final showing (viewing number nine for the week!) By then the manager of the Granada had seen our many visits and gave us free tickets. We even made the local press putting the record straight about some errors in the local review. An incredible week looking back and it set the year up a treat. I did actually go down with glandular fever not long afterwards which is another story for another day. 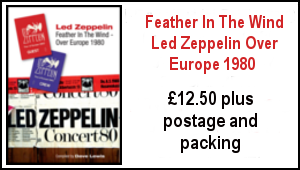 What we all wanted was to see of course was Led Zeppelin back onstage –the nearest I got to them was the hour I spent at Heathrow Airport on May 17 as they flew out for the second leg of the US tour. It was to be another two years before the glory of Knebworth. In between all that I went on to see the Song Remains film around 30 times in UK cinemas from 1976 to 1979. It was the next best thing during their enforced absence. The arrival of the video age would soon make it much easier to view. However it was never quite as rewarding or exciting as those seven trips I made into Bedford St Peters Street on my week in the life of that film way back in 1977. It was like having the band live down the road available at will for a nightly fix. For all its criticisms at the time, I still love the pure innocence of the film. And for all the countless hours of live audio available both officially and unofficially, there’s still a distinct charm about the soundtrack album. The Song Remains The Same’s influence is still being felt – here’s an hilarious clip from a Conan O Brien US TV show (thanks Terry S). Come on, does anybody remember parody? I don’t need much excuse to mention Earls Court on these pages, but this week it feels necessary again and this time the news is not good. 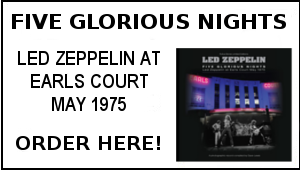 It grieves me to report that there are rumours the famous Earls Court Exhibition Centre, scene of the Zep May daze in 1975, will close after the 2012 Olympics when it will be the venue for the Olympics Volleyball event. There are plans to re develop the area as ‘’a mixed but residential use project’’. The loss of such a key Zep London landmark would indeed be a sad day. I was in London for a meeting yesterday and missed the drama back here when Adam had to go to hospital for an x ray after a fall playing rugby at school. Luckily he had only bruised his neck and ribs (not unlike his Dad last year in the bike ride fall). He is still pretty sore and it has put him out of his first football match of the year on Sunday. By then we will know the outcome of the Spurs V Leeds FA Cup fourth round tie due to kick off at 5.30 Saturday. It won’t be easy and my good friend and Leeds fan Terry Boud will no doubt be on my case if they pull off another shock. It was good to see Mark H. and Cliff last Saturday – Mark brought along a few of the latest Japanese Zep underground titles the packaging of which just gets grander. He was also full of tales of his visit to see well known collector Brian Knapp in the US – his collection is vast and I really should get over there to see it all one day. Spoke to another big Zep collector this week, Steve Jones from Manchester who as ever had some illuminating stories on the over Europe tour as I began researching said subject in preparation for the writing of the book. Finally watching the National Television Awards this week, it was a surprise to hear the plaintive tones of Bron Yr Aur Stomp accompanying the Stephen Fry clip as he justly received a special recognition award. I have read somewhere he is a Zep fan. 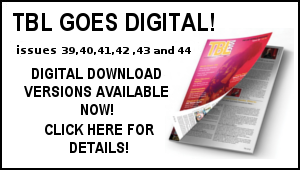 Someone ought to twitter him and tell him where he can subscribe to TBL. I could also talk him through the merits of The Song Remains The Same film if required as I’m pretty familiar with that as you now know. The Song Remains the Same is the best live album of all time!!! Dazed and Confused could stand on its own and beat other live albums!! I missed out on going to Earls Court with my school friends,but we did all go to to London to que for tickets for the premier of TSRTS at Leicester Square,we got there about 8 and qued until about 11,we got tickets for the 2nd night.We wanted the premier as the band were to be in attendance,we should have got up earlier! Used to live in Bedford when i was a teenager. Loved the town and remember Granada cinema well. Just wana add im a huge huge fan of Song Remains The Same too. Just loved Jimmys sound and Plantys voice. great production i thort even though it gets put aside more now. ps loved the knebworth book. Don’t forget the Wade family are Leeds fans too Dave, be afraid , be very afraid the mighty whites are coming!! I went to see the film at the Odeon Halifax, remember when a cinema only had 2 screens, and they were massive too!